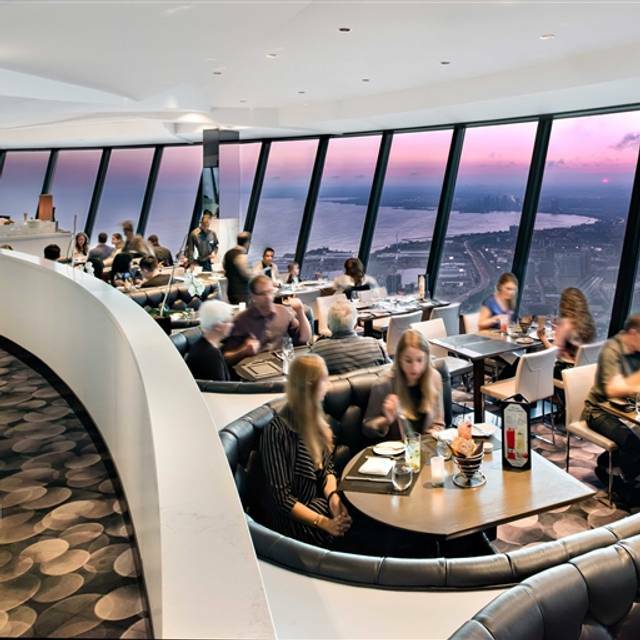 You must make reservations at least 5 minutes in advance of the time at 360 The Restaurant at the CN Tower. 360 Restaurant is open daily for lunch from 11:00 am to 2:00 pm and for dinner from 4:30 pm - 10:00 pm. You will find plenty of parking all around the CN Tower. The closest lots are the south lot of the Metro Toronto Convention Centre (enter off Lower Simcoe from Bremner Blvd or Lakeshore Blvd) or the ImPark lot just west of the Rogers Centre (access from Navy Wharf). Your ultimate destination is Union Station. From there, the Tower is a short walk west along Front Street or Bremner Blvd. Visit www.ttc.ca for more information. 360 The Restaurant at the CN Tower, one of Toronto's finest, features unforgettable food combined with a magnificent revolving view of Toronto more than 351 metres (1,151 ft) below. 360 offers market-fresh cuisine, featuring regional ingredients to ensure an incomparable culinary experience. 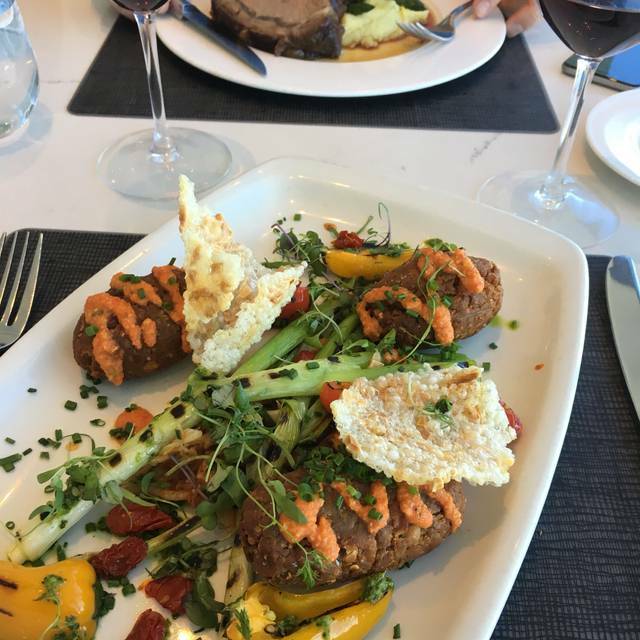 Please note that elevation to 360 Restaurant and access to the LookOut and GlassFloor levels of the CN Tower, following your meal, are complimentary with the purchase of a prix fixe by each guest. Please note seating is assigned upon arrival, not at the time of your booking. Special seating requests will be considered but are not guaranteed. A variety of unique venues, award-winning cuisine and ambiance make the CN Tower Toronto’s ultimate event venue and the perfect choice for formal dining, receptions, casual meetings, product launches, corporate parties, festive season events, intimate gatherings and more for 20 – 2000. Great food and service. You must dine at this restaurant if you visit Toronto! Incredible food so tasty, incredibly view and top notch service. Epic! Worth every single penny! The view is incredible as expected, but the food and service is wonderful. I had added to my reservation that we were celebrating my mums birthday and they even wrote Happy Birthday on her dessert and added a candle - those little touches make it so personal. Thank you! 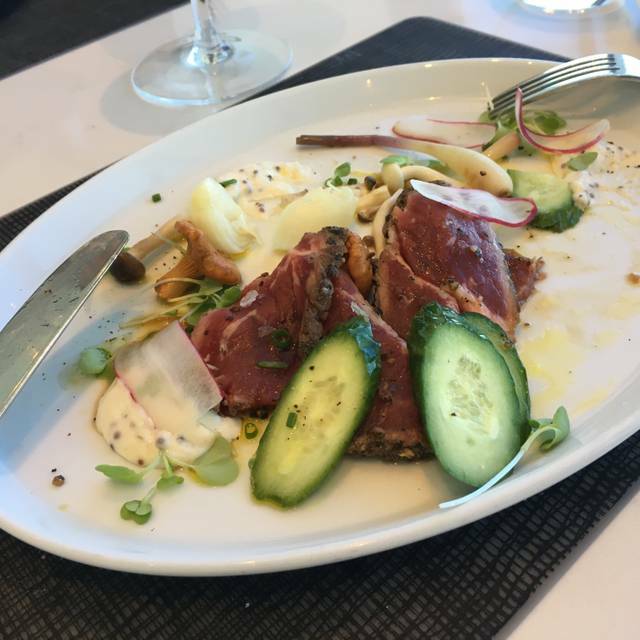 If you're going to pay $38 to go up and see the view from the observatory deck, you may as well cough up an additional $22 (+tax +tip) to have a nice lunch in the revolving restaurant. The food is edible; the view is great! A visit to Toronto should include the CN Tower. Although the food was nice and presented well, I have had much better quality. 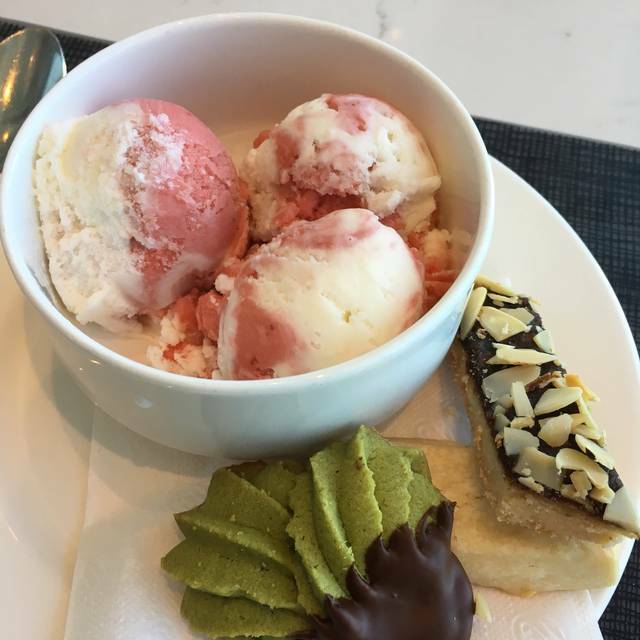 The value in booking the 360 restaurant is that it includes access to the viewing platforms at no additional cost (normally $38) therefore the two course meal at $65 does represent value for money. The food was amazing and well worth it. Our waiter has been with the restaurant for 30 years and so attentive to my wants. He helped my spouse and friend surprise me for my birthday with such grace and love. This experience was the best thing and highlight of our trip. I received so much praise for picking it. Food was yummy and the view was beautiful! Lovely staff too! Only downside is the price, but it's to be expected for this kind of tourist experience. The food was exceptional but I thought the service was poor considering the prices charged. Our cutlery was not replaced after the starters and we had to get up and go find a waiter to get more cutlery whilst our mains date going cold on the table. Not such a pleasant experience. From service and 3 course meal; less than mediocre. $290-CAD down the drain. Food was pre-cooked and served within minutes. The server and busboy served as if they hated their job. Needs revamp. Nice place for a special occasion or to take out of town visitors too. 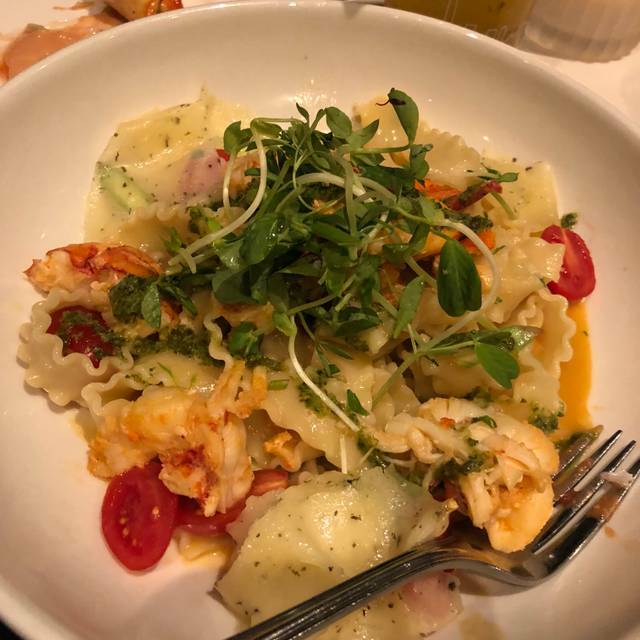 The food is good enough to justify the somewhat high price, especially if you subtract the cost of a ticket just to get up to the observation deck. Staff and service was excellent! Overall a great experience worth repeating! We thought of going to 360 The Restaurant after a friend had gone with her family during a recent stay in Toronto. We have visited Toronto many times from Montreal but never felt the trip up the CN tower to be worth the cost. When she told us about the prix-fixe menu and the quality of the food it just made sense. The staff was excellent. We had a problem with our original table and after speaking to the maître d, we were quickly moved to a more suitable table for our family. 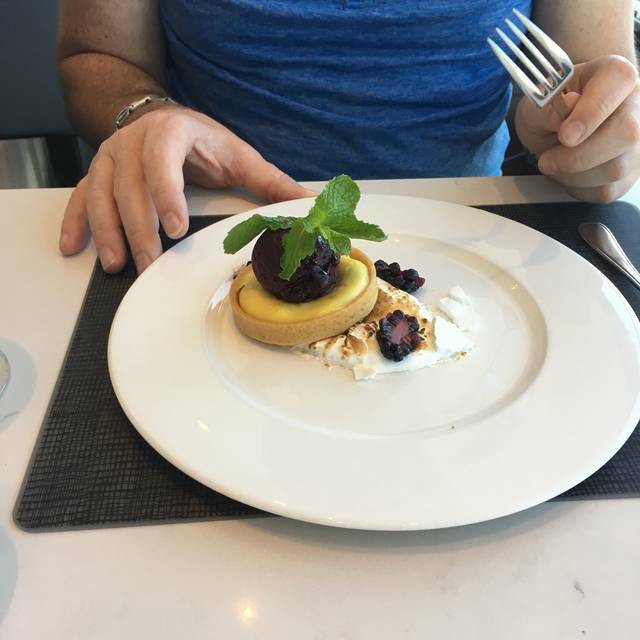 We were served by Stephen, who was courteous, efficient and knowledgeable, not only about the menu but about Toronto and the surrounding view. A very positive experience overall that I would recommend to all who visit Toronto! One of a kind view. Staff was courteous and spunky. Gave us time to pick our food and drinks and also to admire the view. One negative: I specified it was for a birthday on my reservation, but the servers did not seem to be in the know at all. I realized this when the desert came out, and there was still no mention of the birthday my party was celebrating.. We left it at that. It was too late to put a candle on the dessert cake that was already served. Should we have mentioned this as we were sitting down?? La pasamos súper, el servicio estuvo muy bien y la comida deliciosa, pero estuvo muy nublado ese día, sin embargo, lo disfrutamos. Not worth the money on a cloudy and rainy day. It was a very uncomfortable experience. At first, the waiters came in a very hurried way to serve water, which the water fell on almost all the glasses they served, they also came to offer bread and butter but not in proper way. Then when we were making decisions about what to choose, the waiter tried to force you to order food in large, I know that you are paying for sight and all, but that the waiter insinuates you that what you are asking is not according to the restaurant is very uncomfortable. Then according to the food, I found it was not bad, but it was not up to a menu of almost 100 dollars per person, you should be concerned that the food has not only to be in a good appearance, it should be tasty and that It's worth it for the consumer to be there in one of Toronto's icons. In general, very poor customer service, the attention was not good at all and the food was not outstanding. In general, I am very dissatisfied with the experience and I would totally NOT recommend this to my family and friends, it is preferable to just take the tour through the tower and not book at the restaurant. Food was amazing! The view was spectacular! The food we ordered was cold, not very tasty, especially the pork. Very disappointing for a restaurant in the CN and for the price, it is below the average restaurant in Toronto. Service was not great either. I would not go back nor would I recommend, it is way too expensive for what it is. El menú es muy limitado, ya que es requisito consumir 2 platillos, y el menú de entrada es pequeño, no tiene opciones de Sopas (solo Tienen una opción). El sabor de la comida es bueno en general. Unfortunately the reputation precedes; nice spot but terrible food. The view is unbeatable. This is a price for value option. The food is good but I am a bit disappointed that the bread was cold. 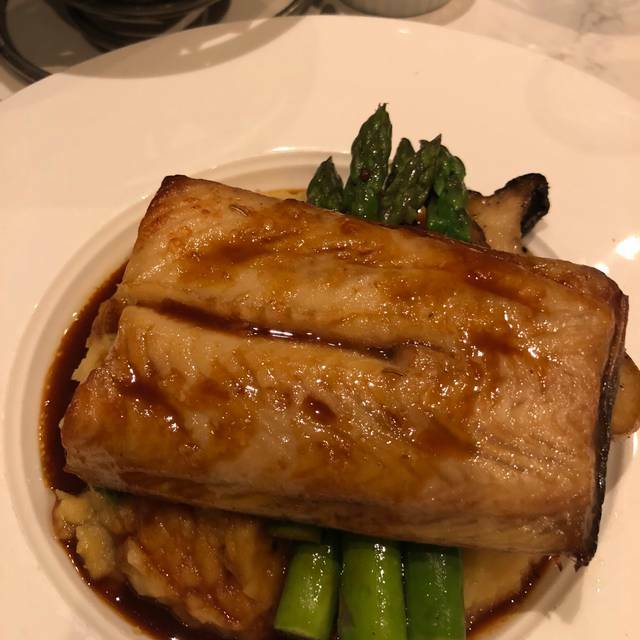 The cod fish I ordered was great. The chicken breast was also juicy. Th CN Tower Sour is refreshing. Excelente cena, ambiente y vista! Let me start by saying I would recommend 360 but there are a couple of things that weren't great. We arrived at the requested time but told the able wasn't ready and asked to go to the observation deck for 20 minutes so not the end of the world, returned to be told it was going to be at least another 10 to 15 minutes. When we did get seated apart from a glass of water no waiter attended our table for 20 minutes and the good old not making eye contact when any were in the area in the end I had to go to them to ask for drinks. 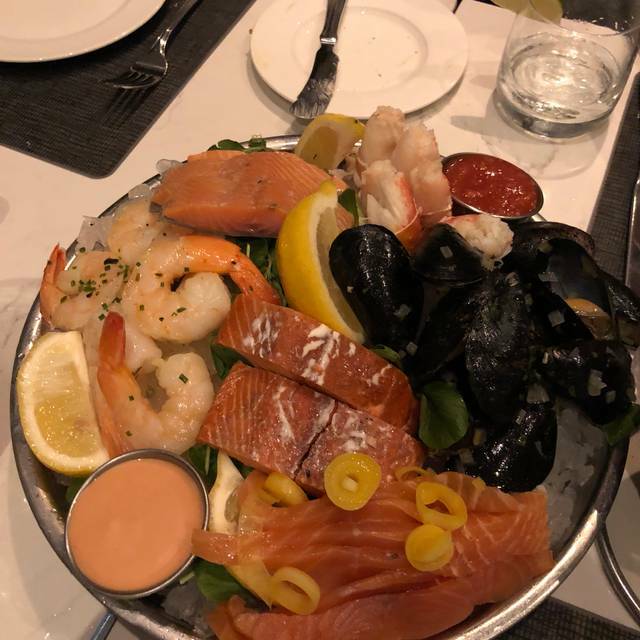 After the above service improved and food was great if I was in Toronto again I would go back. 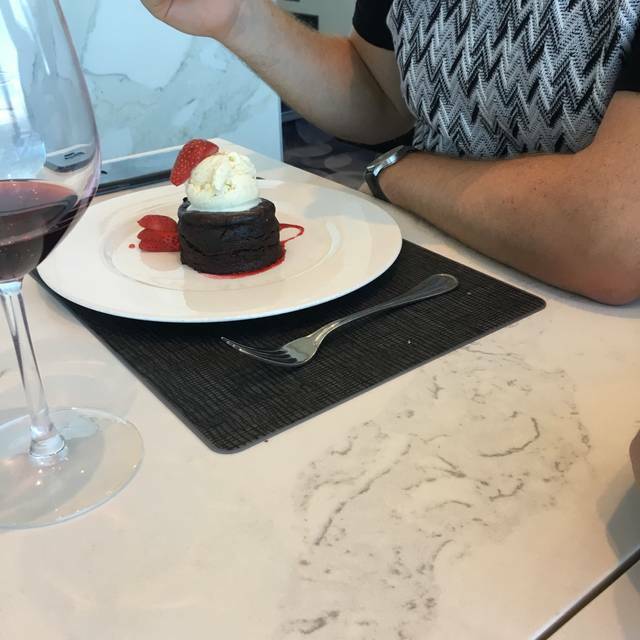 Expected a special experience at the top of the CN Tower. Found the menu uninspiring, cocktails tasted off, lamb chops undercooked and made me feel queasy. Visited the observation deck after dinner and then struggled to get down. Asked staff for help but they were a bit ‘computer says no.’ Overall, a poor visitor experience - a huge shame for such an iconic building. I think you should have more options from 11- 2pm and not make it so expensive... might have more people come... especially with kids and teens. Maybe have a brunch buffet menu that is 40-45 per person while keeping the higher cuisine at $60 for 2 courses... the food was good but the price tag was too high for what it was. I understand about an expensive dinner menu... but the brunch/lunch should be more reasonable cost wise. From the start - the staff does a great job of making you feel welcome. Elevator ride was entertaining and we were greeted immediately as we exited the elevator and brought to our table. Service was friendly and prompt. We were rushed a little due to late reservation (145pm, at end of lunch). Food arrived quick for kids (a big help). We did the 2 course meal - portions were small for $60 per person, BUT quality was very good. A great experience, would reccomend to anyone! The rotating view is amazing. A "bucket list" location for Toronto visitors, but oh so poor. Menu reads well but the service is very rushed, food is poorly constructed, presented cold on cold plates and inparticularlay disappointing was very steak. This was a terrible cut of meat, fatty and sinewy and cooked so rare (med, rare asked for) that a good bet could privacy get it back on it's feet. Bringing this to the attention of the rotating waiters hardly raised an eyebrow and there was not any real interest in making this even a good (not great) dining experience. I think they are trying to turn tables over as fast as they can and the bill was brought without us even asking. I gave the ambiance a 3 simply for the view because there was none in the restaurant. Definitely not fine dining so don't pay for a la carte. They need to improve but I suppose they don't care enough to think about "return" visits or regular customers so care little about the merits of the food. My pork tenderloin was overcooked. I understand it is a revolving restaurant and you are paying for the view but it was still expensive for what we received. The location and the view were amazing and the set menu is really good value. The starters were fabulous but the main courses were not as good as we had hoped. I think we chose wrong and should have gone for the beef.. The food was mouthwateringly delicious and plenty of it. The service was impeccably timed. The nicest thing here it's obviously the views, just perfect. The service was outstanding Paul and Michael were great! We celebrated my son's 19th birthday at the venue. The food was brilliant and the staff were fantastic, they made the evening a truly memorable experience. You can't beat that view! C'était fantastique. Nous avons été reçu comme des rois. Nous avions grâce à notre réservation un ascenseur spécialement pour nous. La vue était incroyable. Le service top notch. Les recettes originales et superbement présentées. Bravo ! The coolest dining experience I have ever had. The food was great, the staff were prompt and polite, and the view was spectacular. Thank you! of the tower included was a bonus! Overpriced for the food though!